With a landscape widely referred to as a geological phenomenon, Arches National Park is a 76,518 acre region encompassing over 2,000 of the world’s most famous Entrada Sandstone formations. 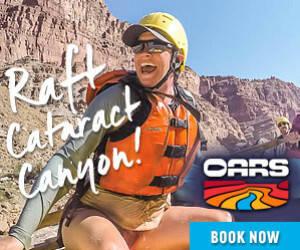 Not far from the border of Colorado and only miles outside of Moab, Utah, Arches National Park is the perfect destination for any number of outdoor activities. 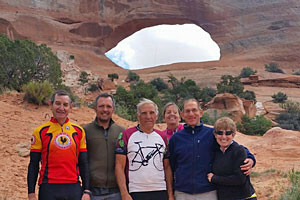 Hike to world famous Delicate Arch, tour the Scenic Drive by car or bike, or get some friends together and camp 18 miles from the park entrance at the Devil’s Garden Campground. While the park is open around the clock 365 days a year, the visitor’s center has seasonal hours and is closed on Christmas Day. The entrances fee is $5 for individuals (including motorcycles, bicycles, and walk-ins) or $10 per vehicle (covers all occupants) and is good for a 7 day pass. Towering 52 feet above the canyon lands and silhouetted by the La Sal Mountain Range, Delicate Arch is one of the most famous formations in all of Arches 76,518 acres. Rock cairns lead the way to this breathtaking Entrada Sandstone formation. 1.5 miles from the Wolf Ranch Parking Area. Photographers-for the best light, plan your visit in the evening time. Look for the “Ute Hunting Panel” petroglyphs near the trail head. Finding parking is easiest before 9 a.m. and after 7.p.m. Arches has a number of hiking trails throught the park that provide great views of the dessert landscape and incredible photo opportunities. Devil’s Garden Primitive Loop Trail is a 7.2 mile round trip tour of eight magnificent sandstone arches. A photographer’s favorite evening hike, Park Avenue descends one mile from the canyon rim to Courthouse Tower. The Fiery Furnace tour is a ranger guided canyon adventure. Adults-$10 Children-$5. Click here for reservations. Begin at the Windows Primitive Loop Trailhead, located 12.2 miles north of the visitor’s center, and hike 1.2 miles to view North and South Windows and Turret Arch. Quite a few roads and trails meander through thepark that are perfect for auto touring. While some of these roads are accessible by car, others require four wheel drive and high clearance suspensions. Salt Valley Road is a 15 mile unpaved route through to the northern section of the park. Open year round, except when closed due to the weather, this easy 45 minute drive is best negotiated by four wheel drive. The Cache Valley trail is a rough and rocky 3.6 mile route to Dry Mesa that side winds through the valley with multiple stream crossings and great views of the Cache Valley and Delicate Arch.Look for the “Ute Hunting Panel” a petroglyph depicting a herd of horses and big horn sheep that was scratched into the rock face sometime between 1650 and 1850 A.D. near the Wolf Ranch Trail Head. Klondike Bluffs Trail is a relatively easy 10.7 mile route for mountain bikers or 4 wheel drive vehicles, but be prepared to hike the last mile to view the magnificent Klondike Bluffs and Marching Man Pillars. Note: ATV’s are prohibited in Arches. Parkvehickles in designated areas only.Auto touring is allowed only on marked trails and roads. The Devil’s Garden Campground is located 18 miles from the park entrance, and has 50 designated camping spots, potable water, picnic areas, grills, flush and pit style toilets, and RV hook ups. Look for the “Ute Hunting Panel” a petroglyph depicting a herd of horses and big horn sheep that was scratched into the rock face sometime between 1650 and 1850 A.D. near the Wolf Ranch Trail Head. 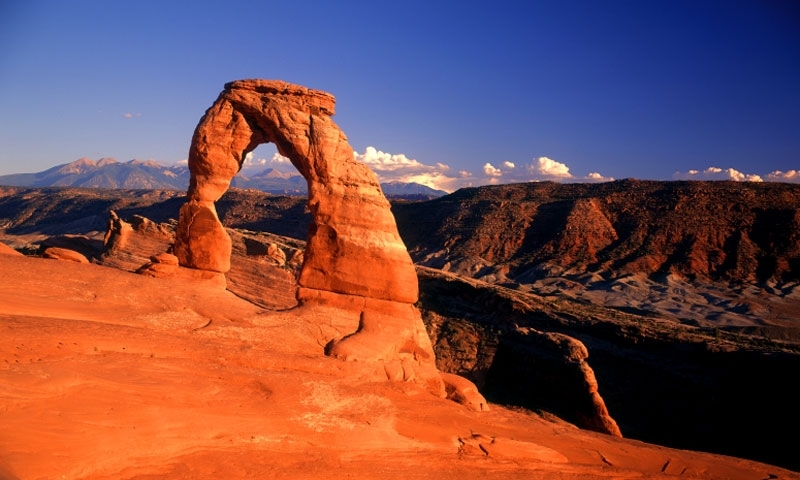 As the unofficial state symbol, The Delicate Arch is pictured on Utah license plates.